As I committed for the week I did go for the early a.m. exercise yesterday but I didn't plan enough time to get through my entire dumbbell routing. I did get 1/2 of it in, while good, I didn't got that great feeling at the end of the whole routine where I feel like I worked out and accomplished something. Just a matter of timing, I'll get the mornings figured out. After work the schedules were friendly and I was able to go back and do the full dumbbell routine after which I did feel thoroughly thrashed when done. 1p - Caesar Salad, Apple. Video Games - Recently my boys commented that I do not understand video games; specifically the benefits to playing them. Really, I beg to differ... Video gaming is all about trying to achieve the perception of reality through it's unreal stage. No different than a good book, a movie or play. Video gaming just like food can be addictive, the challenge for many is keeping perspective between what is real and not. In real life no such luck. You get one life. When you have used it up, you are done. Sure there are exceptions in the stories of those extremely lucky few who have faced death and lived to tell about it, e.g. beating cancer having been diagnosed level-4 & terminal... or the lone survivor of a violently explosive & fiery plane crash. But these lucky few usually endure great pains from their experience before getting to go forward with their new perspectives on life. You get one life. In real life we can choose at any moment to change course for something better, but; we do not get to erase all the bad we've accumulated and start fresh from the beginning. It would be nice if you could instantly erase the 120+ excessive pounds you accumulated and start fresh living healthy from your ideal weight. But in real life you first have to lose the 120 pounds if you want to realize the health benefits of weighing 120 pounds less. You erase with great effort. In real life there is also plenty of help available to you, right? Web sites dedicated to living healthy and getting there if you haven't been doing so; and much of it free. Doctors, Nutritionists and Personal Trainers are just a click, phone call, office visit (and a co-pay) away. Books, books, books... more books than there are beads of grease in your arteries. And we have cheat codes too, don't we? Sure we do, watch that infomercial at 2 a.m. this Saturday that'll allow you to eat double decker pizza & cream puffs while losing 10 pounds in 10 days... but wait theres more! Order now and we'll double... Huh? Yeah, I agree - Horse$#!&... there are allot of cheat codes promising our quick victory to get healthy. Some healthy approaches are faster than others, but none are quick - cheat codes don't work in real life. There are NO quick fixes; none! Video games - play them!... Real life - play it!... Enjoy both, but don't approach your life as a video game for if you do you will surely live a shorter and / or less fulfilling life; my opinion. What is, or was, your favorite video game? Or, if you don't play video games, what is your favorite game period? Tetris my favorite video game. Truth, I get little entertainment joy from video games as an adult and have seldom played them in the past two decades. Diplomacy is my favorite board game. Basically, if it is not a strategy game which forces me to think, I am bored. 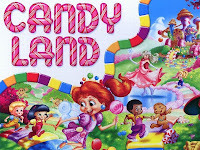 Although I used to play a mean game of Candyland when my kids were pre-schoolers. Patrick, what a great post!!! I have a one coming up Thursday all about this having only one life thing! Me, I might be the only person that has never played a video game!!! Not my thing! I am really not a game person in general. As a kid, played lots of them as it was the thing way back when! I loved Operation & Clue! My all-time favorite video game is Tricky, a snowboarding game. You can either do tricks on the snowboard, or race down the mountain for speed. 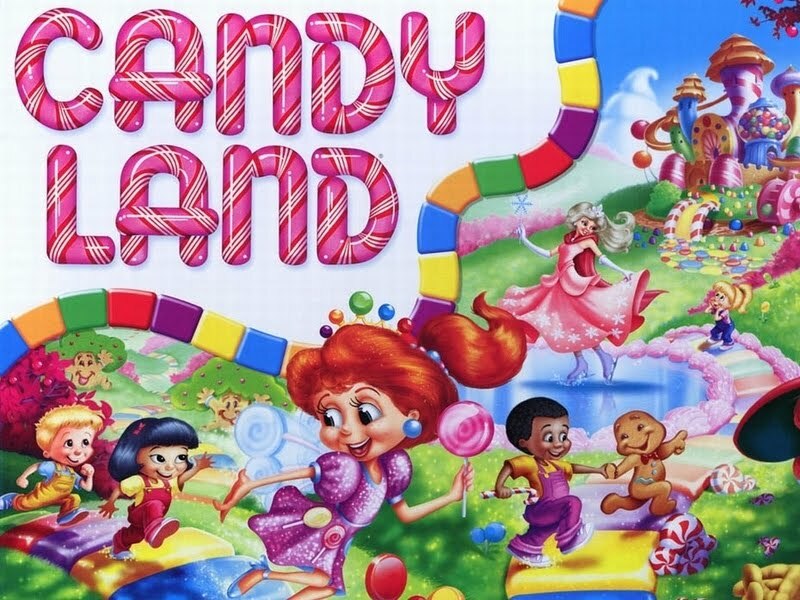 I don't like games that involve hurting or killing people. Just a personal preference. Clue - loved clue as a kid too. Col. Mustard, with the wrench, in the study... he is so busted! Pinball - yes, loved pinball... the machine Elton John was on, I killed it. The KISS machine, I rocked it. Then I realized girls werent impressed by my crazy flipper skills and that was that. Great post Patrick! Hmmm...I'm not a video game person at all. My brother is and he got me hooked on some "dark" something or other 10 years ago that I played for like 3 weeks straight. I was almost on the news as one of those people who die of dehydration because they don't stop playing. After that stint, I gave them up. I'm partial to trivia games... met my husband playing a rousing game of Millennial Trivial Pursuit. I'm afraid I'm not a video game gal either (must have some relation to not having kids in the house any more!). I did get briefly hooked on a very early version of PacMan and BreakOut . . . . But I get your point. I do read a lot and compare my life and options to theirs. Those people in the middle ages sure didn't worry much about their food intake or exercise, that's for sure. I used to love the original super mario brothers on nintendo. I could finish the entire thing, without taking any shortcuts, on one life. If I died, I'd start over. growing up we did not have video games. My wife bought be my first ever system, a ps2, when were in college for this reason. I used it to watch a lot of DVD's. I loved playing tetris on my calculator in math class and now have it on my phone. I'm still more a fan of playing board games with a group of close friends. I collect monopoly and have never been beat! Loved clue as a kid and still love to play a game most people have never heard of- crack the case. I like the schedule. Keep pursuing. Anyone have vetrex? it was a screen and video game system all wrapped into one... I loved that game! Board games, I am a Monopoly fan and Scattegories guy. Keep with the food logs. I confess I used to play Grand Theft Auto, Vice City...reminds me of the 80's. But my new hobby over the past year or so, has become exercise. Much happier now. They did not have video games when I was growing up. I remember playing space invaders when I was in my teens. I now love video games on my wii and play them all the time. I like the ones that use my wii fit board so that I get some exercise. This is a great post by the way. I love those silly yahoo games these days, farm frenzy, chocolatier (hmmm is there a food theme there? lol). Oh plants vs zombies is a good one too. I love my itouch too and their goofy little apps. I always loved tetris. As a kid my house was where everyone hung out and we played games like monopoly, risk, life, slap and one of our favorites spoons. My mom finally banned us from playing spoons because we kept breaking the chairs up with jumping over the table at each other trying to wrestle the spoons from each other lol. I use to play a lot of viva pinata too. I do definitely spend more of my free time at the gym now or doing stuff outside. One of the games we still enjoy playing as a family is farkle (a dice game). Boy am I off base of the real topic here or what. Yea, life definitely isn't a video game. Good post Patrick. Even tho you only got in a half a morning workout,,, looks like it was a great day! Tetris is my favorite, too! Ah, a wide variety of game favorites from this crowd. Here's to us all living long & fulfilling lives!